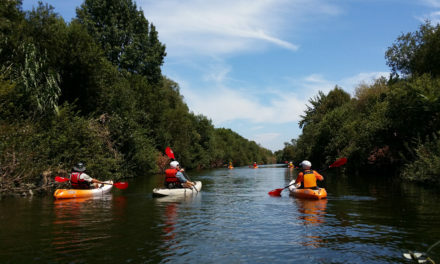 The Mountains Recreation and Conservation Authority Rangers and Kayak Guides offer special weekly kayak programs for groups that wouldn’t otherwise have a chance to visit natural areas. 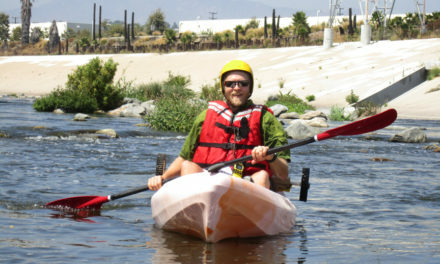 One of its most popular offerings is a paddle the L.A. River program for developmentally disabled children and adults. 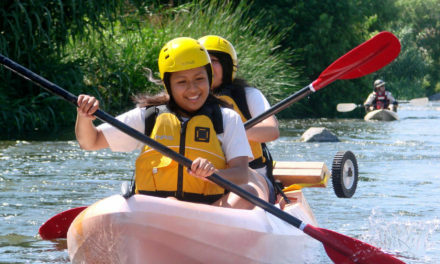 Building on past success in programs offered to the disabled at Ramirez Canyon Park in Malibu, MRCA Rangers offer kayak trips in specially designed rafts (“Kaboats”) that accommodate persons of limited mobility. 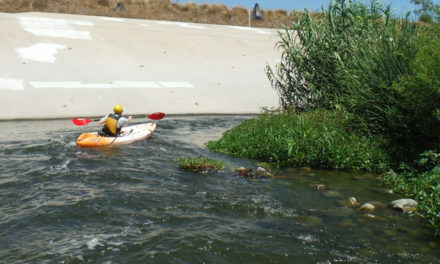 Using custom wheelchairs and walkers designed to get participants in the boats, MRCA Rangers lead tours in the calmer, downstream portion of the two-mile kayak run in Sepulveda Basin. Participants paddle if they are able, and are offered gentle assistance by the Rangers.